KUALA LUMPUR (Jan 17): Affin Hwang Investment Bank Bhd, in collaboration with Bursa Malaysia Bhd launched its Securities Borrowing and Lending (SBL) to enable retail investors to lend out their idle shares and earn interest income over and above the dividends they would normally receive. In a statement today, Affin Hwang said the retail SBL enables investors to lend assets which they already own but do not intend to sell immediately, to Afiin Hwang Investment Bank, as the borrower. Affin Hwang said retail SBL is part of the efforts to boost retail interest in the market. Affin Hwang noted that its SBL system, together with a greater need for more product offerings in the marketplace have enabled them to expand their SBL business further to retail investors. Affin Hwang Investment Bank had initially rolled out retail SBL through only three branches to its commissioned and salaried Dealer Representatives in the third quarter of 2018, and have successfully loaned out RM8.5 million of retail clients’ shares in less than two months in spite of the relatively slow market performance in the final quarter last year. Affin Hwang said it targets to achieve RM50 million in securities lending book size in 2019. “Affin Hwang Investment Bank is committed to be a leader in the securities industry in Malaysia and our provision of excellence to clients through innovative products has always been our aim. The launch of this Retail SBL clearly demonstrates this commitment," said Affin Hwang Capital group managing director Datuk Maimoonah Hussain. “Retail investors continue play a significant role in the domestic capital market. Therefore. 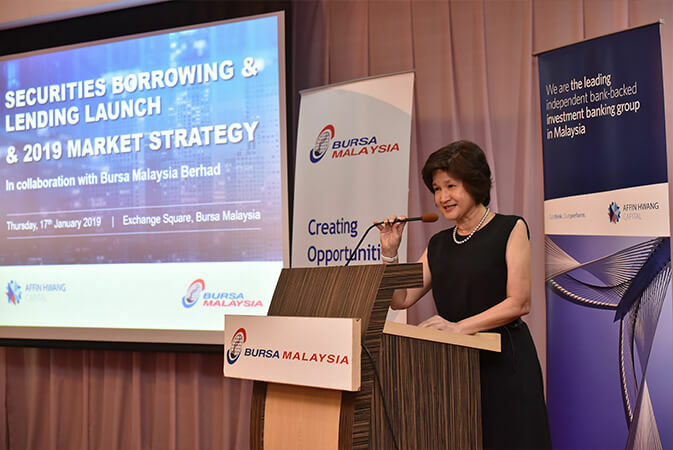 Affin Hwang investment Bank, in collaboration with Bursa Malaysia, are excited to offer this new product to the retail investors to potentially enhance their idle assets’ performance," she added. 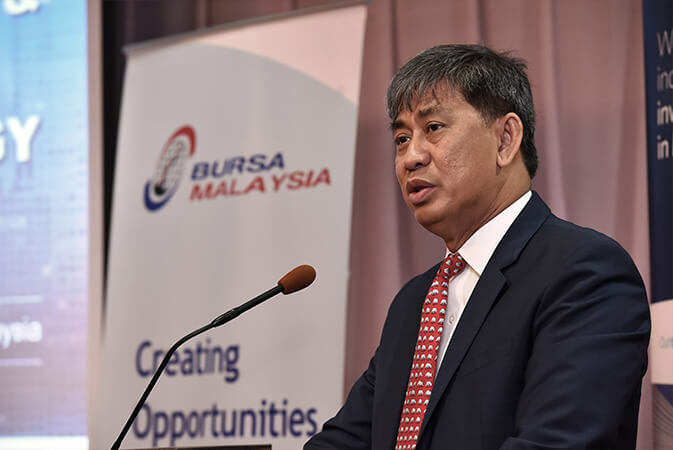 Meanwhile, Bursa Malaysia chief executive officer Datuk Seri Tajuddin Atan said as at December 2018, there were 1.87 million retail accounts in the Malaysian marketplace holding a portfolio worth RM137.3 billion. "Premised on this, investors can generate additional income through lending out their idle securities holdings in SBL transactions, and potentially increase the overall return from their investments. 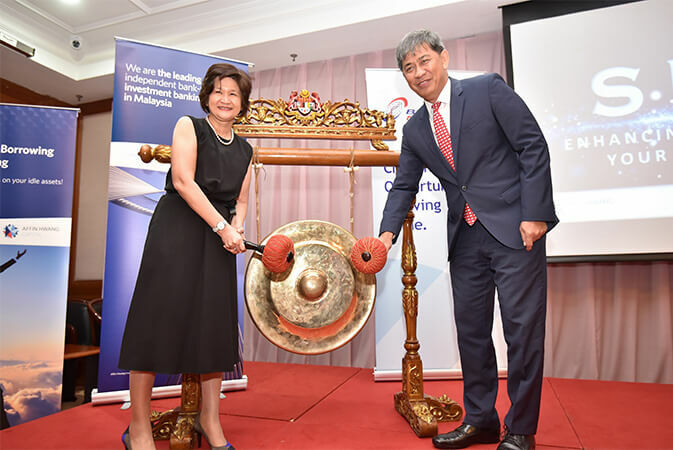 l would like to commend Affin Hwang Investment Bank for taking the initiative to venture into the retail SBL segment with today’s launch, which will encourage retail investors to join the institutional players in making use of this facility to enhance their returns from idle assets,” he said.